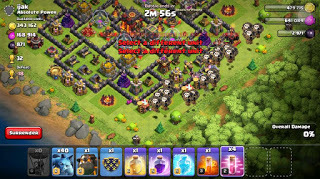 I am playing clash of clans for last two years and have experienced the common problems through out the game and will share with you guys one by one for this time i am discussing secrets about the clash of clan for collecting the loot in short time .Sometimes we get tired of not getting the proper loot we desire off and we need to search and press the next next button for hours and when we get one proper loot we need to deploy all our troops to get that loot . We win the battle and got that loot now what ?? need to wait for like 15-20 minutes for your army to get full again and for heroes that might be like 50-60 minutes that a lot of time and you might get bore waiting for that long and as a result might quit playing clash of clan thinking this game is too lagging. As i use to do make my full army with balloons and get some proper loots but then always have to wait for 45-50 minutes for army to get rebuilt as shown in picture .But now i have learnt some other trick which i am going to share with you guys for getting good loots in short time and playing constant without have to wait for army. 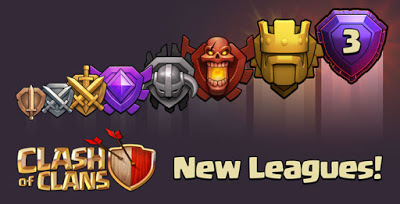 Get your trophy level to 3200 ,once you reach champions you will be getting that bonus loot we are talking about . Drop your trophy level by 70-80 ,so that you still remain in champions and don’t get your self below 3100 or you will drop to masters 1 . Just keep oscillating between 3120-3200 where you can easily snipe through town halls. Keep yourself packed with 100-120 archers and goblins so that in an emergency you can easily clear the full drills they also contribute a lot for loots ,but be sure to take out the town hall first . With a constant play of 30-40 minutes you can easily full your storage’s no matter how much you lose in defense. 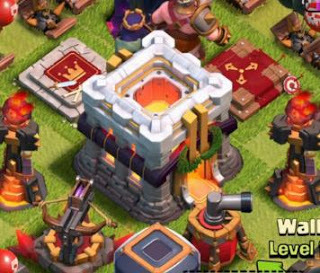 One last point place your town hall outside so as to save your resources as soon as you log off some player like you will destroy your town hall and will give free shield . This given picture shows my log as i got 2 Th outside in just 2 minutes but i was in different league and though the center one showing attack lost was a mis-click and my troop was dispatched but the other two can gives you the view that just with 2 minute time difference 2 bases were snipped.So just follow this technique for nonstop play and for collecting the loot in a faster way.